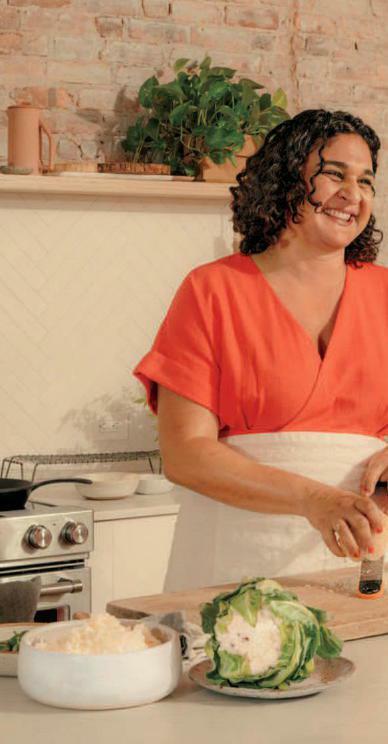 WHEN SAMIN NOSRAT LAUGHS, SHE TILTS HER WHOLE body back and fills the room with sound, uproariously, not unlike Julia Child. If Netflix was looking for a successor to that cooking icon, it found one. Nosrat’s new streaming show, Salt Fat Acid Heat (Oct. 11), based on her best-selling cookbook by the same name, inherits the best aspects of Child’s famed series The French Chef. Both women published groundbreaking cookbooks that won James Beard Awards. Both emphasize the basics of cooking over the memorization of recipes. And like Child—who once dropped a potato pancake, shrugged her shoulders and threw it back into the pan—when Nosrat makes a mistake, she owns up to it quickly.